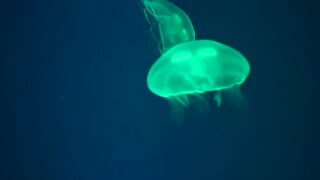 Search Results for "jelly fish"
4K HD Video of large glowing Jelly Fish on a blue background. 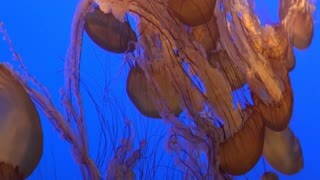 Jellyfish or jellies are soft bodied, free swimming aquatic animals with a gelatinous umbrella shaped bell and trailing tentacles. 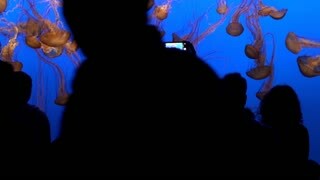 4K HD Video of large glowing Jelly Fish on a blue background. 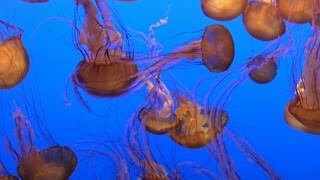 JJellyfish or jellies are soft bodied, free swimming aquatic animals with a gelatinous umbrella shaped bell and trailing tentacles. 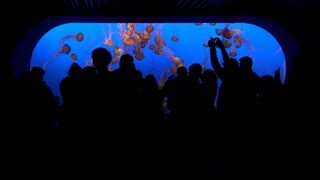 Big white spotted jelly fish silhouetted against the bright midday sun; fish swimming around. Pink jelly fish tranquilly floating by the surface captured above and below fifty fifty dome portal shot.